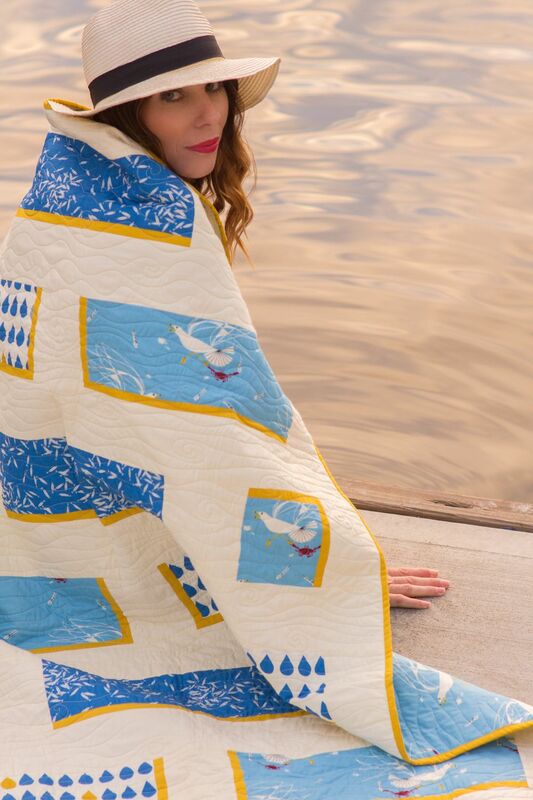 The Sea Feed Quilt is another collaboration between the lovely Lunden Designs and Birch Fabrics featuring the newest Charley Harper Fabrics, Maritime. 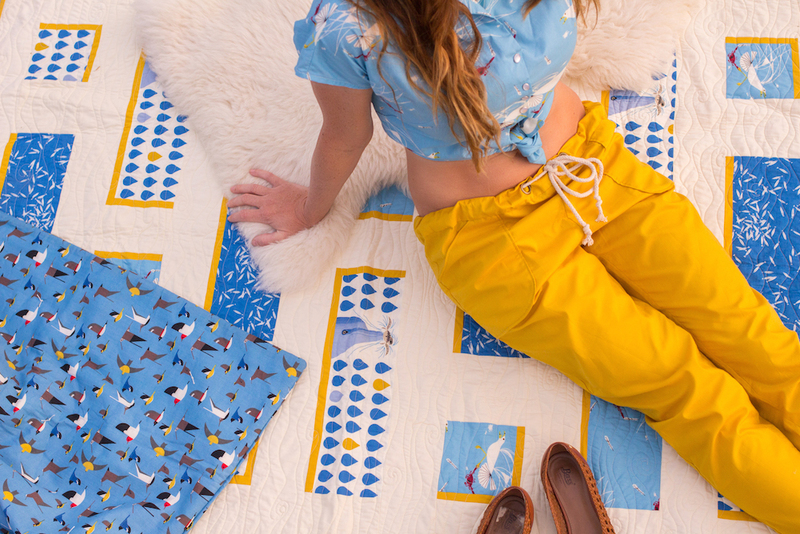 We love the assortment of blues and the bright pop of yellow. We suggest fussy cutting your Charley Harper fabrics to really make them shine. Follow this link to get the fabric!